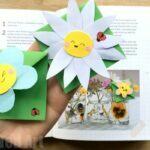 Oh yes.. how can you beat a lovely Flower Craft for Kids? 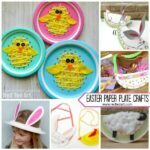 Today we have a fantastic Paper Plate Flower Craft guest post by Shelly from Creating Creatives! 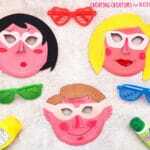 We love her site – it is bright and colourful and full of easy craft ideas for kids! 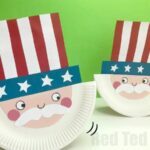 If you are looking how to make paper plate roses – we have a great how to video for you here. 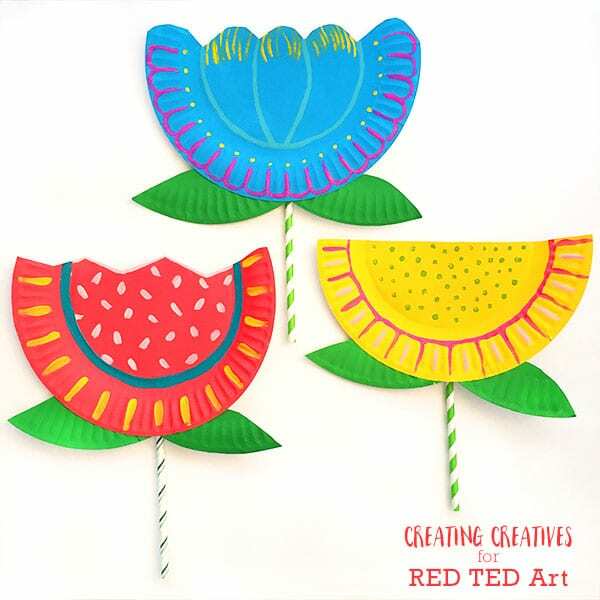 Today’s paper flowers are much easier and suitable for children of all ages whether for preschool, KS1 or teenagers. 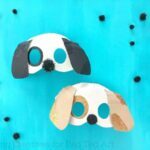 I think everyone can enjoy these paper plate flowers! Over to Shelly. 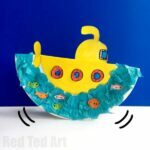 See all Creating Creative contributions here. 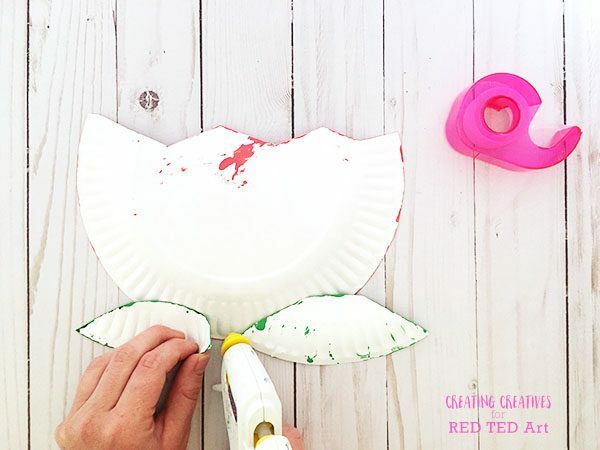 We love a good paper plate craft and wanted to keep this one simple and smelling sweet! 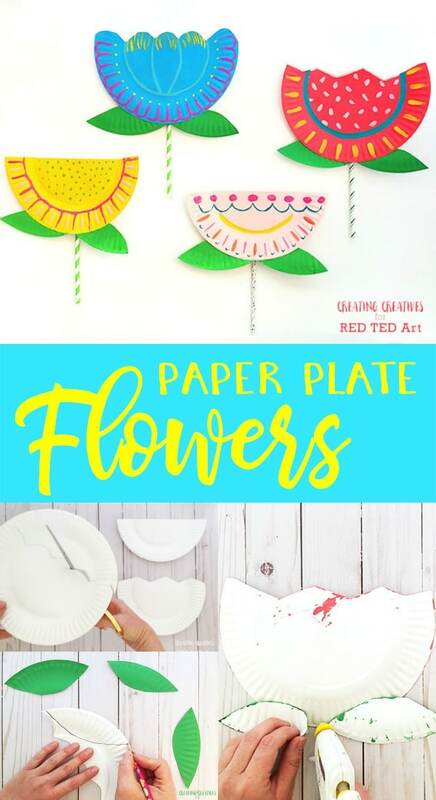 There are so many possibilities with this one, we hope you enjoy our paper plate flowers. 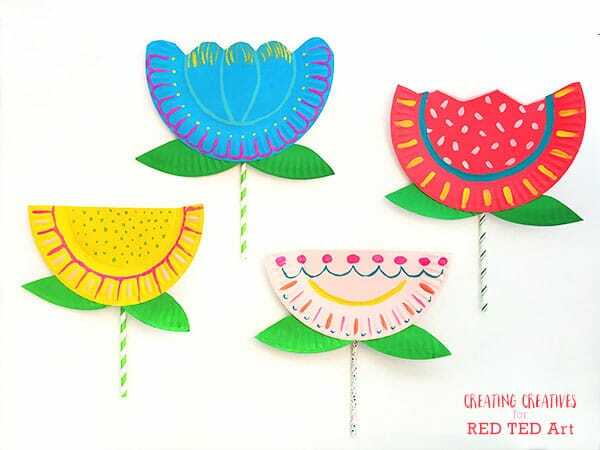 Draw then cut out your flower from the paper plate. We did 3 different shapes as you can see from the picture. 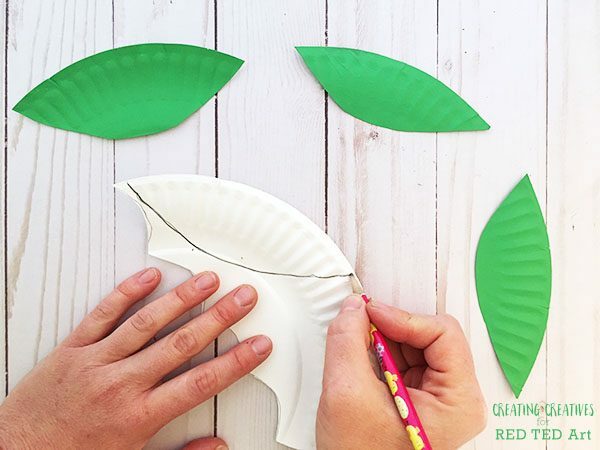 From the non flower part of the plate cut and paint your leaves. 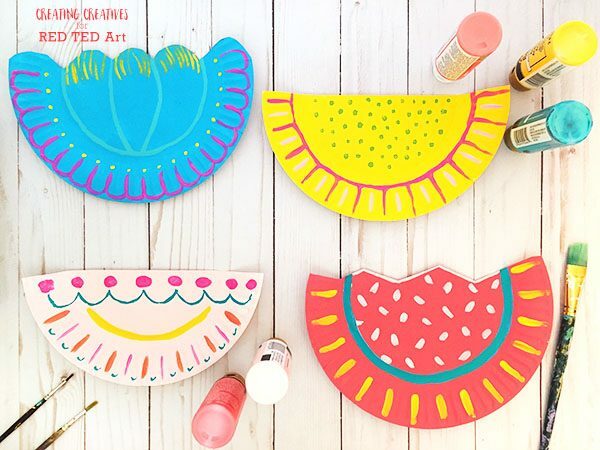 Paint your plate with a base color. Once the paint is dry use any details in your plate (ridges / design patterns) to add detail with other colors. Think lines and dots and doodle elements. 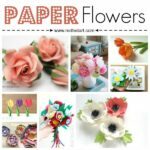 You can mix and match the patterns we have below to create your own flower design. Hot glue, or tape the leaves to the back of the plate at the bottom of the flower. 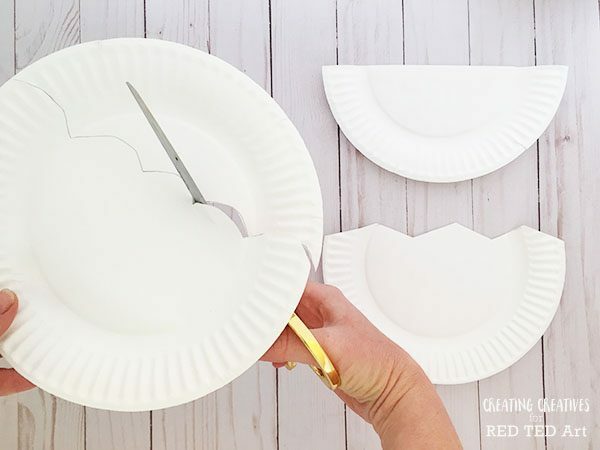 Hot glue or tape your straw to the back of the plate. We found gluing it to the flat middle part of the plate worked best. You’re done! 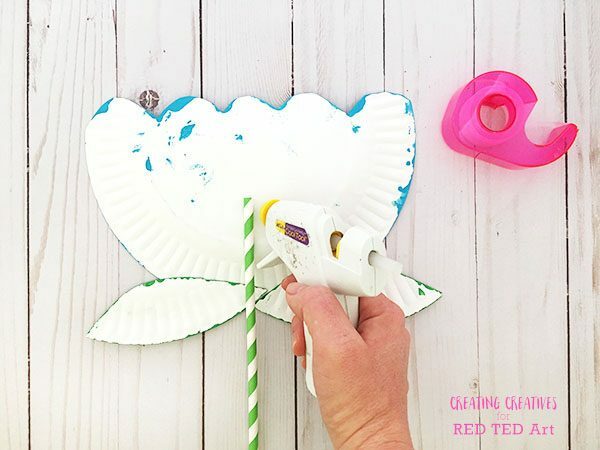 You have just made a gorgeous Paper Plate Flower Craft for Kids!!! 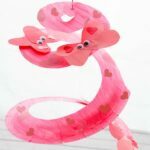 These would make a sweet gift or even a super cute garland. Wow you always post best work of art.